In stock ready for shipping! The golden armrace featured in the black or white short film and was mainly used on the dangerous world tour for the intro JAM. This armbrace was also used in the live version of black or white. 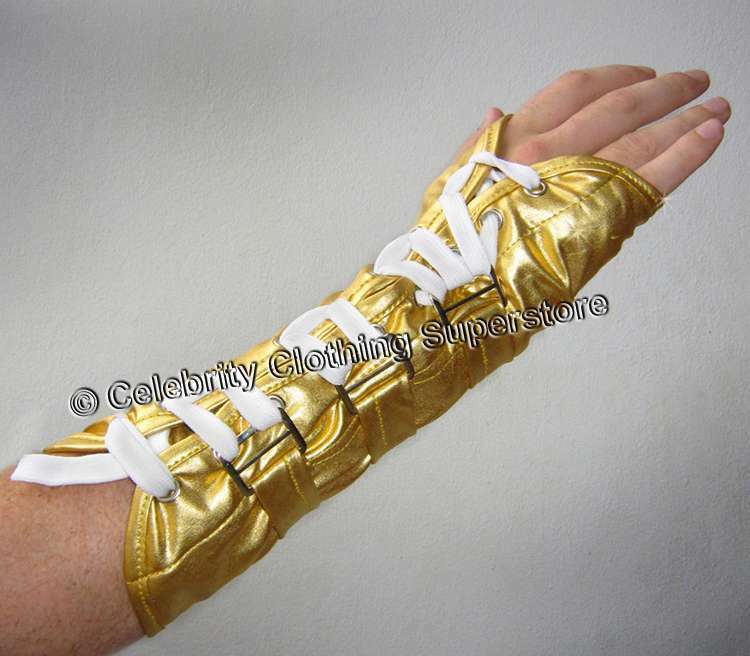 Order Your Gold Armbrace Now! Maintenance / Cleaning : Machine Washable. Please allow 2 days package & handling.